Next weekend the communities of Wyalong and West Wyalong will celebrate their 125th anniversary! 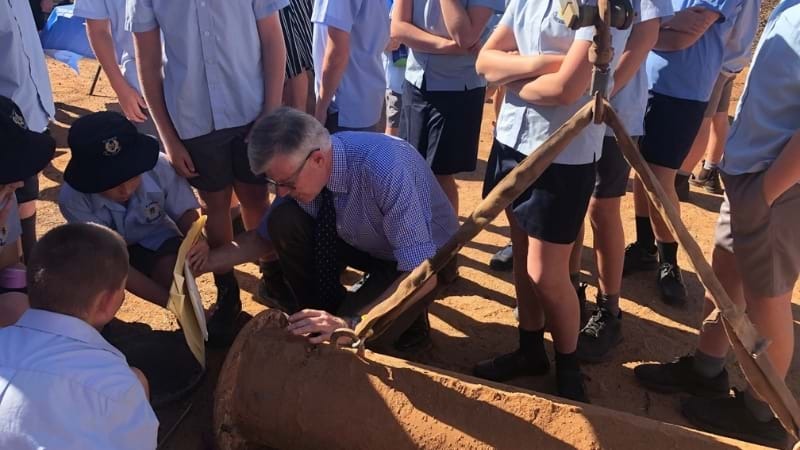 But the celebrations kick-started yesterday, with the Bland Shire Council holding a media launch, which included the extraction of a time capsule buried during the twin town's Centenary celebrations in 1994 (25 years ago). Mayor Brian Monoghan joined the show this morning to reveal some of the time capsule contents, plus what to expect next weekend. For more information on the anniversary and all the events taking place, head to blandshire.nsw.gov.au.